This morning for breakfast I made honey whole wheat pancakes with Smart Balance (healthier than butter) and real maple syrup. This is soooo much cheaper and better for you than going to a diner for breakfast. Yes, that's a can of paint sitting next to my breakfast on the kitchen table. I've been reading way too many design blogs lately to leave my furniture alone. Seriously, nothing is safe. 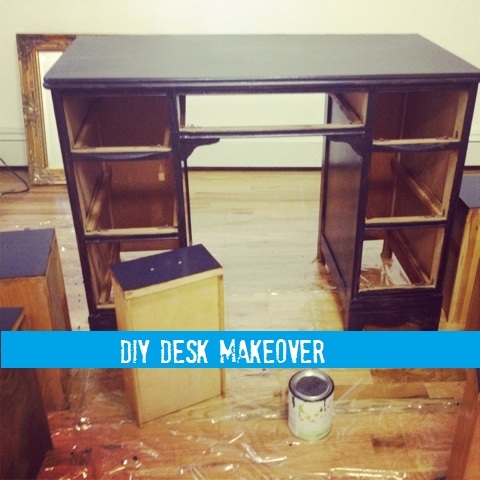 This is a DIY project that I started working on this afternoon. Check back tomorrow to see the finished product on the blog. 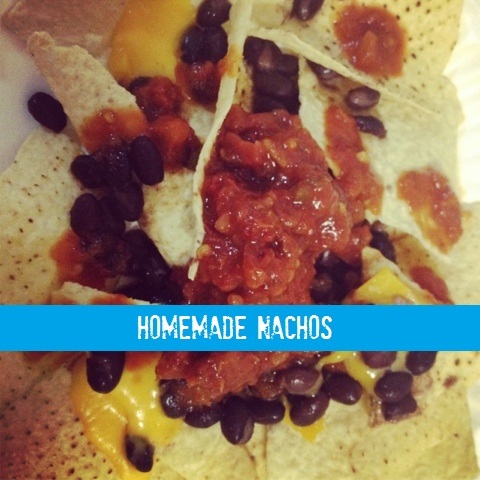 Easy homemade nachos via the microwave. I used low sodium corn tortilla chips, sharp cheddar cheese, canned black beans that I rinsed (to lower sodium content) and two kinds of salsa (to give it a complex flavor). The nachos were quite yummy, but next time I'm adding jalapenos, avocado and some soy chorizo. Kudos to myself for playing Suzie Homemaker today! Lol. How was your day ? Leave your comments below. Haaa pancakes were breakfast. Nachos were lunch. Dinner was flatbread, hummus and black bean burgers... I wasn't being healthy at all today. Such a carb fest.